Rex Jay Ward, 73 year old Burley resident, passed away Saturday, May 3, 2014 at Cassia Regional Medical Center. Rex Jay Ward born April 26, 1941 in Burley, Idaho to Rex Woodrow Ward and Alice Margaret Parke. Jay grew up in Cassia county and attended elementary school in Malta and Almo. In his early years when not driving hay wagon and working with his father. He enjoyed riding horses and hunting jack rabbits. Jay graduated from Raft River High School in 1959. After graduating he worked for the BLM in the summers while attending Utah State in the fall. Jay loved to dance and swept his future bride off of her feet. On November 9, 1963 he married his sweetheart Judy Martin. Jay and Judy made their home and raised seven children in Burley, Idaho. After custom farming for several years Jay ventured into the real estate market in 1974 specializing in farm and ranch sales. Serving in various organizations he was an involved member of the community. Jay loved boating, wagon trail rides, gardening, Dutch oven cooking, family reunions, traveling, visiting with family & friends, dancing. He obtained his pilots license and enjoyed flying. Jay was a active member of the Church of Jesus Christ of Latter Day Saints. He served in various callings and was an active participant in the Scouting program. He is proceeded in death by his parents, his sister Helen Kay, and granddaughter Sophia Grace; His Mother and Father in -law, Gene & Rosella Martin; brothers in-law, Bill & Tim Martin. He leaves behind his beloved wife Judy, and his children: Helen Kay (Jim) Rankin, Mary (Doug) Porter, Rex Jay (Marlo) Ward, Rodney (Traci) Ward, Rustin (Nicole) Ward, Michael Ward, Cara Ward, and 21 grandchildren; siblings, Maureen Schlender, Gary (Tressa) Ward, Suzanne Anderson, Karen (Dave) Majerus, and John Ward. He is also survived by his sisters-in-law: Dena (Dean) Peterson, Deanne Martin; brothers-in-law Tom Martin, Port (Susie) Martin, along with many nieces and nephews. 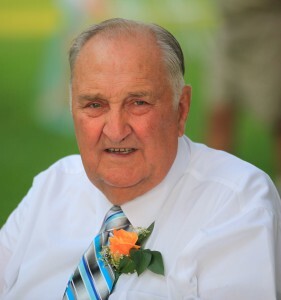 Funeral services will be held at 10:00 a.m. Thursday, May 8, 2014 at the Burley West Stake Center, 2420 Parke Ave. Burial will follow in the Marion Cemetery in Oakley. Friends may call Wednesday evening from 6:00 until 8:00 at the Morrison Payne Funeral Home, 321 East Main Street in Burley and from 9:00 until 9:45 Thursday at the Church prior to the services.